The summit of Mt. Rigi offers breathtaking 360° views all year round. 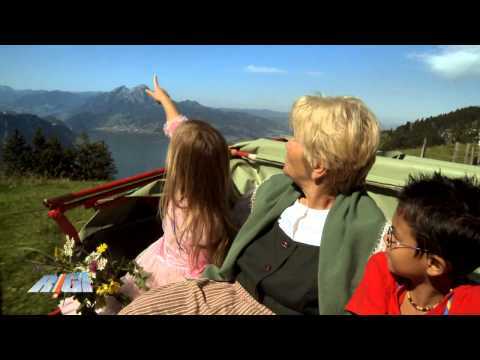 The cog railways from Goldau and Vitznau (Europe's oldest mountain railways dating from 1871) and the aerial cableway from Weggis allow visitors to come and go in a variety of ways for interesting round trips that can be combined with a trip on Lake Lucerne. Summer here is a time for outdoor enjoyment and recreational walks. The mountain's 120 km of paths and trails offering distant views, the Rigi-Kaltbad Mineral Bath & Spa, sheltered barbecue spots, an array of children's activities and attractive restaurant and hotel amenities all conspire to make a trip to the Rigi the perfect summer day out.